A month has flown by as we edge closer to our big-big launch on December 2nd! With time spinning away, we have a contest winner to announce! But first, let me introduce our judge for our first Pin It to Win it contest. 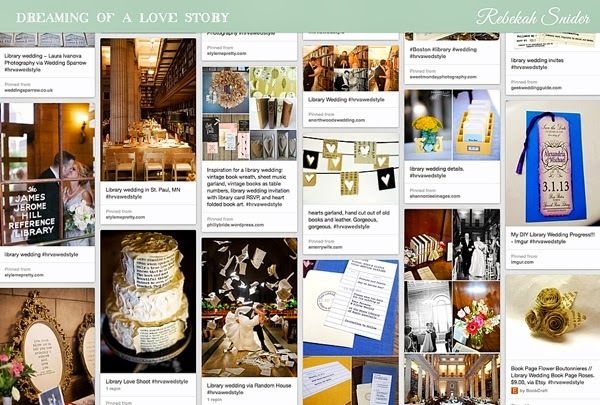 Internationally-recognized and respected for her wedding inspiration boards, Sara Burnett of Burnett's Boards is the queen maven when it comes to crafting wedding themes. From board games to zodiac signs, her beautiful boards (and pins!) 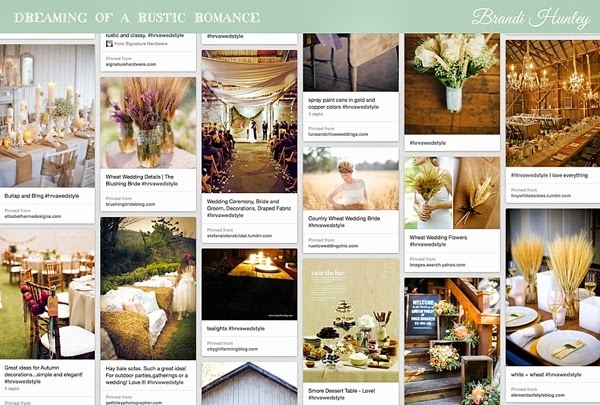 grace over 100,000+ Pinterest followers and millions of blogosphere readers. There really is no better judge, and we are so grateful for her time and expert eye in choosing the well-crafted theme execution of one lucky lady's dream wedding! For our runners up, we were enamoured by these ladies' interpretations of romance... one theme sweet and fun, the other elegant and rustic. Both incredibly versatile and completely doable for everyday Hampton Roads brides. "Dreaming of a Rustic Romance"
"Dreaming of a Love Story"
"Dreaming of a Wedding in the Stars"
Sara commented, "While each of the entries were absolutely gorgeous, there was just something about Ashe's 'futuristic vintage' star wedding that I couldn't get enough of. Her mix of themes (future & vintage) is usually only seen in Steampunk style weddings - but there's nothing steampunk about this one. Every single element adds to the mood in the perfect way. Even the food fits the theme perfectly! 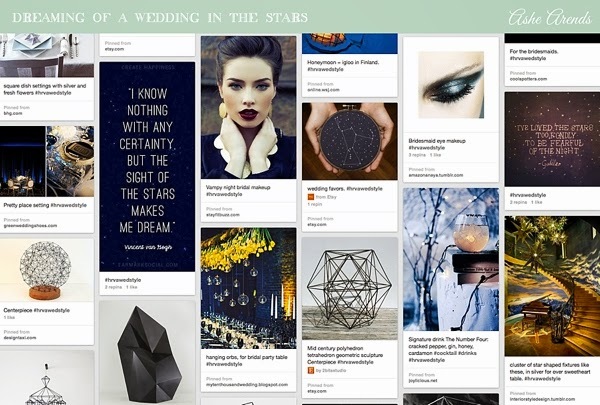 The geometric elements in Ashe's board are really on trend right now but when mixed with everything else - it creates one of the most uniquely themed weddings I've ever seen and clearly something that has personal relevance and importance to the couple. I adore it!!!" Congratulations, Ashe! We hope you get some beautiful goodies at one of our favorite places! P.S. Stay tuned for Wednesday though when our next contest is announced... it's all about Twitter in September!